No matter the year or the current trends, when it comes to cold-weather pajamas, our editors turn to their beloved flannel favorites. There is nothing more timeless and classic than the cozy go-to, and the best part is, there are now a wide variety of styles, colors, and prints to choose from—these are not your grandmother's flannel pajamas of the past. From modern sets with shorts to stylish nightshirts and the usual pants set, there is a guaranteed pick for every personal style and shape. For those of you living in colder climates, we recommend opting for a thicker set with pants for the most warmth. You can also go with a nightshirt option, but make sure to add a pair of warm leggings or thermals underneath. For those of you dealing with warm or even hot weather during the winter seasons, don't fret. There is a great selection of pajama sets with shorts and lightweight pant sets or nightshirts that will be perfect for your climate. One thing is for sure: flannel pajamas make for a great, easy gift for family, friends or any other loved ones, especially if you pick a set that best suits their personal style. Not sure what's best? A classic checked print is always going to be your best bet. 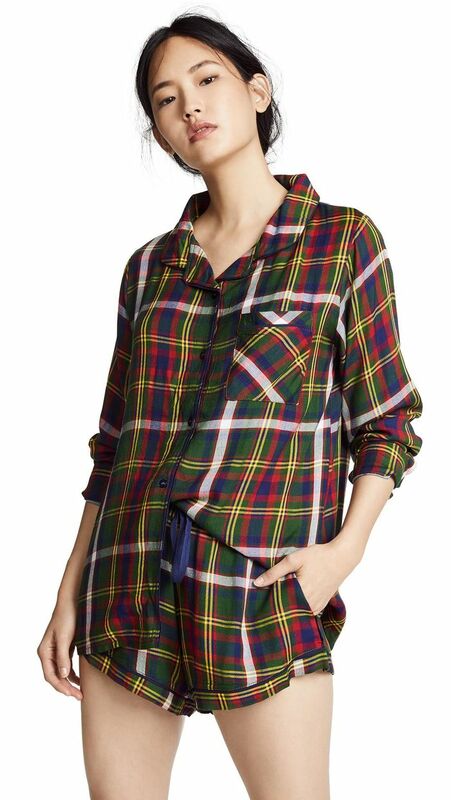 Keep reading to shop our editors roundup of the best flannel pajama picks of the season. While we love them all, you have to check out the constellation print we all have our eyes on. This colorful shorts set is so stylish that it's selfie-worthy. 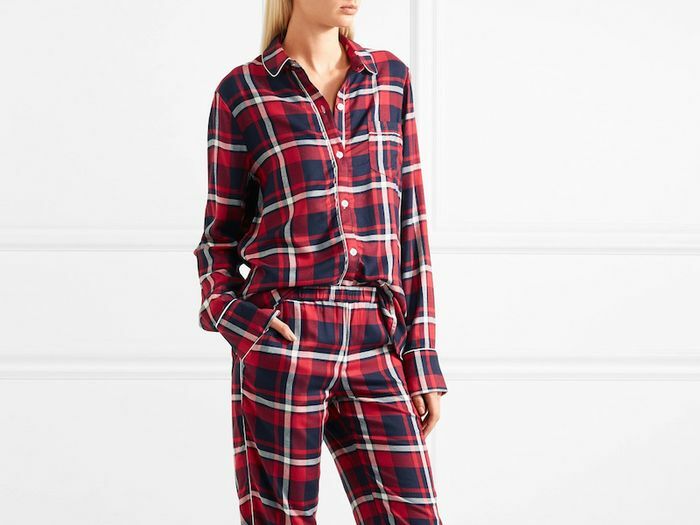 A classic checked pajama set is an instant closet staple. We're loving the star print on these white pajamas. A nightshirt is one of our favorite pajama styles to sleep in. Add leggings for more warmth. This rolled-sleeve style feels fresh and modern. These snowflake print pjs are spot-on for the winter months. This pajama set is perfect for wearing during the holidays. Our editors love pieces with contrast piping, so these are right up our alley. This nightshirt is so cool that we may just have to wear it out with jeans. This check design is super chic with black coloring throughout. We love an elevated pair of pajama pants, especially when stripes are involved. This gray-and-white gingham set is super cute and great for gifting to loved ones. This darker set features a drawstring waist for those who prefer the style. Our editors may or may not be obsessed with this constellation print. These pjs have a cool, retro feel that we love. This lighter vintage design comes in sizes XXS through 3X, making it a great plus-size option. This shorts set boasts an oversized buffalo plaid print. These classic pajamas are a timeless option you will wear for many seasons to comes. Here's another nightshirt option for those that like options sans pants. If you're looking for a bolder option, try this animal print set for under $100. This luxe striped pajama set is worth the investment. This budget-friendly nightshirt is a steal at $25. Stocking up on even more pajamas? These Instagram-worthy options are at the top of our lists.